Operation Bluestar, 30 Years On. For the 25 million Sikhs across the world, the city of Amritsar is a sacred place, and its holiest sanctuary is Sri Harmandir Sahib more commonly known as the Golden Temple, a resplendent 72-acre compound which also hosts the Akal Takhat, the highest political throne for the Sikhs. 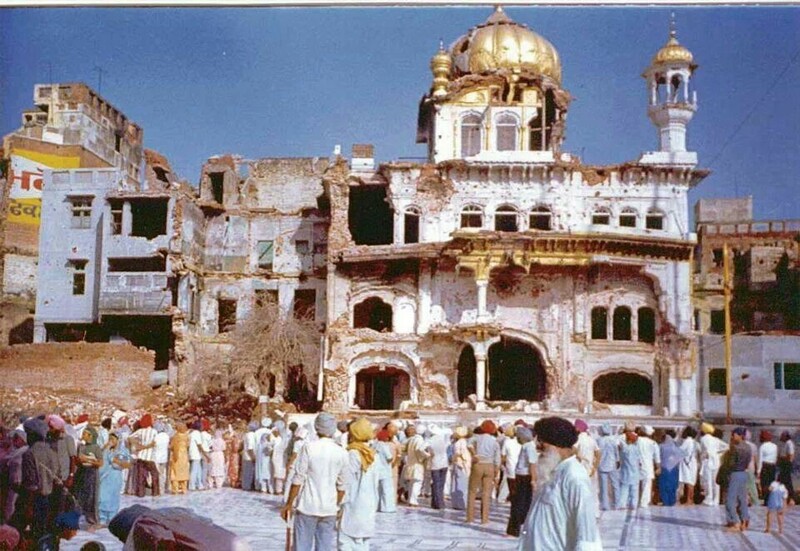 However, 30 years ago on the 2nd June 1984, the then Indian Prime Minister Indira Gandhi, addressed the nation in a broadcast on the All India Radio, ordering an army attack on the holiest shrine of the Sikhs. The reason she gave for this extreme measure was to “flush out separatists” who threatened the “unity and integrity of our motherland.” The separatists as described by Mrs Gandhi, were in fact a group of Sikhs, who had been for a number of years, been campaigning for fair treatment for all of India’s minorities against growing evidence of majority bigotry. The fertile ground for the struggle between the Sikhs and those in the corridors of power, was provided by the perceived notion of injustice and discrimination among the members of the Sikh community at the hands of the successive Congress governments at the Centre. The army attack on the Golden Temple and forty-two other Sikh shrines across Punjab, code named Operation Bluestar, was the culmination of this confrontation. At the time of the partition of India in 1947, the Sikhs as a community had decided to be part of India as it had been promised autonomous powers as a reward for the pivotal role it had played during the Indian independence movement. However those promises were soon backtracked upon by the Congress party when it came to power. The Sikhs were not recognised as a separate religion in the Indian constitution and instead regarded as an extension of the majority Hindu faith. Even the demand for re-organisation of Punjab on linguistic basis on the pattern of other states was rejected and helped reinforce the persecution complex. It was in 1973 that the Shiromani Akali Dal, the political party which aimed to represent the Sikhs, adopted the Anandpur Sahib Resolution. This resolution, which was later incorporated into the Akali Dal constitution, demanded autonomy for the region on the basis of the exclusive and separate Sikh identity. It was for the implementation of this resolution that the Akali Dal launched the ‘Dharam Yudh Morcha’, a peaceful mass civil disobedience agitation in 1982 from the Akal Takhat after all other means had been exhausted. After successfully portraying the peaceful agitation as a separatist movement filled with lawlessness and violence, the government had managed to sow the seeds for acceptability of attacking a holy shrine with its armed forces. The attack was deliberately timed to coincide with the martyrdom anniversary of the temple’s founder, Guru Arjun Dev ji. The complex was overflowing with pilgrims. The battle between the Indian armed forces which numbered in the excess of 8,000 and those who had been declared ‘separatists’, numbering at an estimated 400, lasted for five nights and six days. Even on conservative estimates, the death toll was well over 4000 including innocent pilgrims, women and children, the youngest being a two weeks old child. There were also reports of those who had been arrested on suspicion of being separatists, being shot at point blank range with their hands tied behind their back with their own turbans. Sikhs were shocked at the sight of a bullet ridden, tank battered Akal Takhat and left a deep rooted wound in the souls of all who came across the horror. People across the globe gritted their teeth in revulsion and felt a surge of anger against the use of military might on the holiest shrine of the Sikhs. The lack of closure, the lack of feeling that the legal system of India delivered justice, the helpless feeling that no one will ever pay for the mass butchery that took place has left a simmering anger among the Sikhs. Thirty years on, disclosures from the UK government archives revealing British government involvement in the Amritsar massacre, has once again stoked the simmering feelings of discontent. Operation Bluestar is seen as the beginning of a Sikh genocide that continued through the anti-Sikhs pogroms of November 1984 and lasted through the decade of state-sponsored extrajudicial killings from the mid-1980s to the mid-1990s. The campaign initiated by the Sikhs, to achieve fair treatment for all of India’s minorities, is more important than ever today. Unfortunately since 1984, Muslims in Gujarat in 2002 and Christians in Orissa in 2008 have both suffered from anti-minority and divisive politics. Now as we commemorate the 30th anniversary of Operation Bluestar, we must commit ourselves that such atrocities to never happen again. Some years ago, on a hot summer day, a little boy decided to go for a swim in the old swimming hole behind his house. In a hurry to dive into the cool water, he ran out the back door, leaving behind shoes, socks, and shirt as he went. He flew into the water, not realising that as he swam toward the middle of the lake, an alligator was swimming toward the shore. His father, working in the yard, saw the two as they got closer and closer together. In utter fear, he ran toward the water, yelling to his son as loudly as he could. From the dock, the father grabbed his little boy by the arms just as the alligator snatched his legs. That began an incredible tug-of-war between the two. The alligator was much stronger than the father, but the father was much too passionate to let go. A farmer happened to drive by, heard his screams, raced from his truck, took aim and shot the alligator. No, not from an alligator, but the scars of a painful past. Some of those scars are unsightly and have caused us deep regret. But some wounds are because Maharaj has refused to let you go. In the midst of your struggle, He’s been there holding on to you because He wants to protect you and provide for you in every way. But sometimes we foolishly wade into dangerous situations, not knowing what lies ahead. The swimming hole of life is filled with peril – and we forget that the enemy is waiting to attack. That’s when the tug-of-war begins – and if you have the scars of His love on your arms, be very, very grateful. 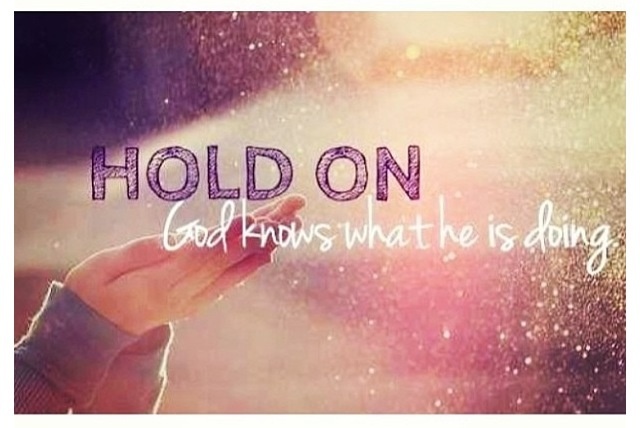 He did not and will not ever let you go.